Aramid Escape Line is certified to NFPA 1983:2012 and is used mainly by fire departments for protection during firefighting operations. Aramid Escape Line was designed for firefighters, in collaboration with science and safety officers from the largest fire departments in the U.S. and the world’s leading fiber manufacturers. The aim was to develop a rope that improves the safety of firefighters, especially of those working in tall buildings. Aramid Escape Line fulfills the most important criteria for bailout situations, thanks to its high decomposition point (500°C / 900°F) and durability. Technora® is the ideal material for these requirements of a fire escape rope. 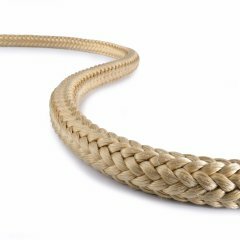 Consequently, sharp glass, rough materials, or great heat will not be able to threaten the integrity of this rope. Our Aramid Escape Line is very supple. Hence, it packs tightly into a compact bag which can be worn on a belt and deployed instantly if necessary. 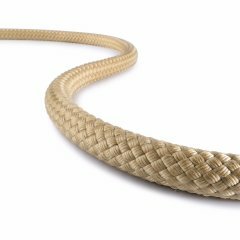 Yellowstone is a heat resistant rope from TEUFELBERGER and boasts a Technora® cover and a high tenacity polyamide core. Vulcanus from TEUFELBERGER is certified to EN 1891A. 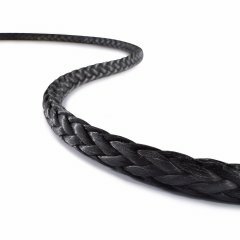 Because of its aramid cover, it is suited for use as a heat resistant rope. Our T-12 rescue rope boasts very high breaking force, extremely low elongation, little creep, and excellent heat resistance.